The plan is to spend one person from every AXE country on Earth to space. AXE Philippines is part of this bandwagon. Last Thursday, January 10 at the specially-made AXE Apollo Space Academy built inside White Space in Pasong Tamo, Makati, AXE announced that together with space travel agency Space Expedition Corporation (SXC), it is sending the first Filipino to space. The good news is, he or she could be anyone, trained or untrained. So far, there are 518 humans who have been to space and you can be in the same league with Neil Armstrong, Yuri Gagarin or Sergei Krikalyov, the Russian cosmonaut who holds the record for the most time spent alive and outside Earth with 803 days, 9 hours and 39 minutes. This activity coincided with the launch of Axe Apollo, the new addition to its growing body deodorant fragrances. 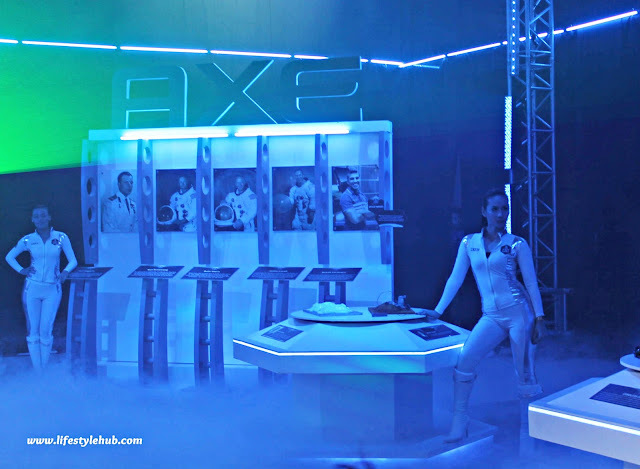 During the launch, AXE Philippines brand manager Gem Laforteza said: "We offer two tips to getting girls to notice you: smell awesome all the time and be a freaking astronaut." Some of you who might see this as a promo joke should think otherwise. I could not blame you though as this project is truly ambitious but really, AXE is granting 22 people a free trip to space! I'm sure many of you would like to be the first Filipino space traveler and be cool like Buzz Aldrin. All you need to do is sign up and get more details at www.AxeApollo.com. You may also visit its fanpage at www.facebook.com/AxePhilippines. So, are you ready for an out-of-this-world adventure? Will my space dreams come true?